Labour unions and PhD student associations in Italy have criticised the government’s focus on R&D that comes at the expense of the nation’s universities. This comes in light of plans to allocate €200 million (£175 million) to the Italian Institute of Technology in Genoa (IIT) at the end of May. The education ministry says that the plan to allocate €200 million to the IIT is to ‘promote […] national interest research projects for the country’s economic development of the country, and actions that help young people access the world of research’. The ministry declined to comment further. However, the move has caused anger among many researchers. The largest labour union in the country said in a press release that the IIT has been receiving €100 million per year for the last 10 years, and the institute has only spent 80% of this money. Sources at the labour union added that universities were subject to ‘extremely rigid productivity tests’, used to allocate the ‘ever-dwindling funds of a chronically underfunded’ university and public research system in Italy. Pasquale Cuomo, leader of CGIL’s R&D branch, tells Chemistry World that the current public R&D sector is ‘like a desert, with a strong palm in the middle [– the IIT]’. Cuomo says that controlling the institute instead of funding the universities allows the ruling Democratic Party to ‘promote some parts of research, but not others’, as the IIT is focused on applied and industrial disciplines instead of theoretical sciences, social sciences and humanities. The European commission has recently assessed the state of Italy’s public R&D funding, which is, according to its RIO 2016 report, below the EU average. The same document reported that university resources fell by 14% between 2008 and 2014. In that period, Italian higher education centres lost over 7500 professors and researchers, a fall of 12%. 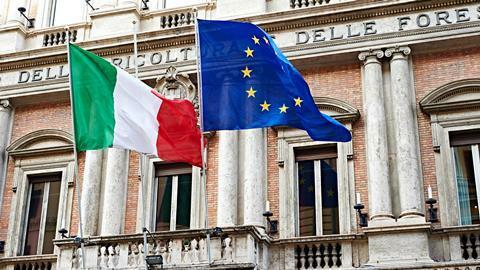 Leopoldo Nascia, co-author of the report and a researcher at the Italian Institute of Statistics, said that the current situation in the university sector in Italy is ‘critical’. Nascia added that he was pessimistic about the sector in the near future, given that ‘current policies that could help are either not effective or not being implemented’.